From Peace Corps in Kenya to teaching English in Mauritania, Kelly Cunnane gleans her writing, emphasizing the challenging, heartwarming, and curious connections between cultures. Cunnane has published work in anthologies and magazines, gaining a PEN New Writer award for nonfiction and The Maine Lupine Award and The Ezra Jack Keats Award for her children's book, For You Are a Kenyan Child (Simon & Schuster). Her new children's book, Chirchir is Singing arrives this year. 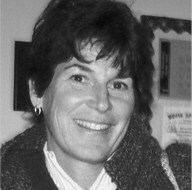 Cunnane teaches abroad and in Maine, and runs Creative Cultural Workshops for Kids & Communities. The slow waft of African afternoons is more sluggish than Thanksgiving, than fat houseflies in an attic, or a forgotten memory's arrival, the flattened blue and pink prom rose yellowed in your hand. You honestly have no idea how time in Africa elongates, widens, disappears. I live with descendents of nomads, who've settled the Atlantic shore of The Great Sahara Desert. Easily drawn by a child or outlined by a batch of sticks, rectangular homes with flat roofs and matte surfaces neither reflect nor absorb sun, but seem both right and surreal for the place that the tribes inhabit together. The people convened not by agreement but by fault of conditions that barely allowed survival. They may not have thought much about the thin line they lived on as desert people. They simply did it. Their parents, their grandparents, their families had done thus. So too, they did, with childhoods of camel milk, Call to Prayer, and sand. I take the job at the English Center in West Africa, founded by a nutcase with an enormous heart, who interviewed me at nine in the morning in Maine. In see-through pajamas and flip flops, she smoked cigarette after cigarette. After two hours of straight chatter, I interrupted her. "Am I going to Mauritania?" I asked, not entirely sure. We composed a contract I never see, and within three weeks, I was saying good bye for a year. Sparrows from Europe are gleeful in the poison succulents spindled around the compound where I live. Nearby is a pink mosque with turquoise doors I intend to find again. I hope the women shrouded in their veils aren't there; I want a photograph, but I'm polite about taking pictures. I have a photograph I didn't mean to snap, didn't know I had, Port de Peche. I just wanted the waves, fishermen, and people in an arbitrary shot, beach blued with late day. Later, I note a man mid-picture, sheen of waves beyond, shielding himself from my camera's eye. I'm sorry, I want to say, I didn't mean to. As useful as saying Sorry after running over someone with your car. I never do find the pink mosque again for a photograph. It either was repainted or I lost all sense of its location. I live in the cleaner, more spacious, more Arab part of the city - Trvagzeina - which sits low like a village. Everyone's so capable of not giving the impression they notice me, the foreigner, the toubab. But gossip stirs the hem of the boubou-swathed man, whose skin blends into the dim of his corner shop. His turban seemingly floats, no one inside. The people of Nouakchott (no-walk-shot) stay close to the earth. They crouch. When they get up, they're winged with yards of cloth. Underneath the swirling veils for women and the billowing robes for men are regular clothes. But they wear garments that make them appear bigger than they are, a compulsion when one has felt oneself as a mere speck. Against an ocean of sand, an incomprehensible sky, one tends to feel as insignificant physically as one is, hence the enlarging outfits. Mr. Hamadi told me this, a slight man who speaks and acts as if he should be wearing a bow tie. But he wears a crinkling, puffed-out, blue poncho-like garment, a boubou. The pants that men sometimes wear underneath are like Sinbad or pirate pants. They haven't any crotch definition, just extra material that makes a small private area look expansive. A chin-up to the onslaught of the live dunes that make their way over us the moment we stand still. We shut the windows to slow the desert's tumeric drift. No barricade is sufficient. I sweep and swab. I go downstairs, empty the dirty water in the compound of rubble and rubbery trees in precise violet flower. When I return, sand already powders the tiles. When the heat of summer arrives, slowly, people have an unspoken permit to sleep, shops not opening. With night, people come out, rested, ready, low to the ground. I see them lying on the stoops outside their shops, pouring tea, around tiny circles of orange embers. I'm a middle-class American raised by school teachers, an ex-Peace Corps volunteer. Until I went to the Sahara, I taught part-time and raised four kids. The lastborn is still in high school. He may be for a while as he's not crazy about cooperation. I was married for twenty years, and then after a long-winded debate with myself, him, and everyone I knew, decided not to be. Independence better accommodates both parents. Most people cannot tell the difference between when I was married and now, but I suspect that the upheaval of the rearrangement had its affect on the kids. Especially the lastborn. In a long ago tradition of atonement, a High Priest piled the burdens of sins onto a goat and then sent the goat into the desert. I can picture me slapping my hands briskly together, relieved of my burdens. Absolved. I picture feeling sorry for the goat as she heads with her barrel width, her dainty steps and dark sorrows teetering on her back. I can see me now— what I wanted to get rid of back in my arms. Unable to let go. Sand comes across my eyelids, fine as luminescent eye-shadow barely smeared on by fingertip. The dust makes me feel I need to brush my teeth. I shake my pillow. My books and papers send up puffs, as if pulled from an ancient library, not just placed on the table twenty minutes ago. I keep the casement windows of my room open anyway. I can only latch them by elastic as each week a little more of the hardware falls apart. Teaching English in the Islamic Republic of Mauritania, Al Jumhuriyah al Islamiya al Muritaniyah, I live in the capital city of unraveling communities, not intermingled but distinctly edge to edge. The Arab, or Moor, and African Mauritanians live with Africans from countries I've failed to become acquainted with - Burkina Faso, Guinea Bisou, Benin. People from countries I've heard of briefly on TV: Tunisia, Morocco, Emirates, Saudi Arabia, Libya, Iraq, Iran. The,various people have settled in Nouakchott as if only waiting to return to their own countries ripped apart by war, corruption, or poverty. Dozens of years pass, and they're still in Nouakchott, semi-complaining about not being home, about being here. The French, ex-colonists, invested in the civil law of the country, form a small coalition. They run schools and a valiant but overwhelmed trash company for a select corner of the city. We all surge on waves of sand up to the waves of the Atlantic. If I were still married, I most likely wouldn't be here in the Sahara, which I've imagined for years. I would've meshed my plans with a husband's. Now I don't have to; I never did, but I didn't know that. I often still think I'm part of a unit, which I loosely am, but my destiny, my determinations are singular. To embrace the potential of my singularity - which I was really good at before marriage and having children - takes an enormous amount of time where I lay low— one could even say, flounder. Once I met a woman who went on a silent camel trek into the Sahara. The excursion company's fee exceeded my means, but I thought about that trek for years: The Great Sahara. When I heard about the English Language center in West Africa, I wrote, I sent my resume. Several times over several years. I wanted to experience the Arab Islamic culture and gain more perspective than the media in my country offered, which often stirred up Fear of All People Who Wear Turbans and Pray Facing East. Al Qaeda. Nine-eleven. All people are capable of good or evil. All people have their convoluted reasons for choosing one or the other. Turban or not. Nouakchott, Place of Winds, a capital of 800,000 or so, is encompassed by an enormous ring of trash that stinks of urine and refuse. Nappies, goat heads, and thousands of plastic bottles and bags flatten and blow. Hulls of concrete developments parade. Made from sand and shells, the unfinished houses remind me of drip castles I made on the beach in childhood with my sister. The Sahara heaves. Buildings ride and crack. Give the desert an inch, and she gladly takes over. Sahra: an ancient Arabic word, which when properly pronounced inside the throat, not in the nose, sounds close to a terrible gasp for water. I lie and sweat on my mat and listen to a woman speaking Hassaniya, the almost classical Arabic dialect of Mauritania. The three casement windows of my room are grilled. No one can get in. No one can get out. The one door of our house is always locked. Locked doors are popular here as opposed to the island in Maine where I haven't a clue where my house key is. I've run away, logically, methodically, and clearly, from home. For some reason, very much like the first time I ran away when I was small, everyone was supportive and helpful, assisting in the packing of my bags and listening to me defend my choice: "It's for the best, isn't it?" Second-born daughter, twenty-one, nodded noncommittally, her face unreadable. The nineteen-year old, off to Kenya for a half-year of adventure before he succumbs to college, gave me high five. The lastborn, the sixteen-year old shrugged, kept his eyes on the screen. The parent not moving to the Sahara for a year said, "Go!" in a strong voice that seemed a kind of No, especially in the un-poke-able quiet that followed. My mother, an energetic woman, agreed with my sister, and my oldest daughter who's off to NYC at twenty-two. "Halleluiah!" they said. "Go! You should, you need to!" A change in family dynamics is a flurry of cards in the air, and the space where they were is an absence as large as their presence. Questions crop up in the new vacancy like dandelions of the past, the now, and what isn't known.